The standard species Hornbeam is an excellent tree in its own right and often used for hedging and windbreaks. The 'Fastigiata' cultivar however makes this hornbeam a better choice for smaller gardens because of its erect form and smaller ultimate height. Fastigiata is a strong grower when young and stays very upright, once it starts to mature however it fills out a little into its ultimate shape which resembles the ace of spades. Oval dark green leaves turn attractive shades of yellow and orange come autumn. Hornbeams grow well on most soils and will tolerate both clay and chalk conditions, making it an ideal candidate for poorer planting conditions. 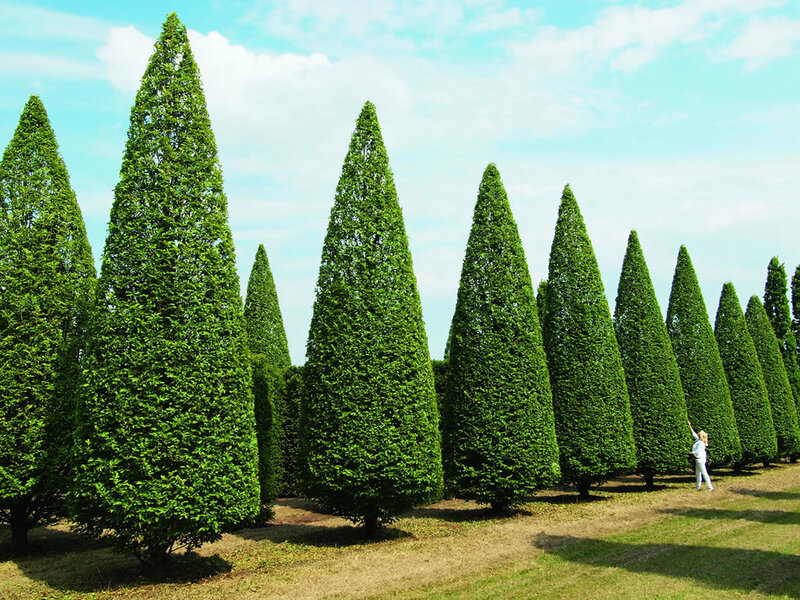 Fastigiata hornbeam has long been a top choice of landscape architects and designers who enjoy its handsome outline and often specify it for formal avenue plantings.